Most people have heard of a chiropractor, but you may not be sure exactly what one does. Or, you may think that the only thing chiropractors do is crack backs in a painful-looking way like they do on TV. The truth is that chiropractic care can provide pain-free, drug-free, non-invasive treatments for a variety of ailments ranging from old sports injuries to headaches. The traditional form of chiropractic care is called spinal manipulation. This may be done either firmly and with a fair amount of force, or slowly and gently, depending on what your body needs. Chiropractors also treat non-spinal joints. Our chiropractors understand that the body is a system, and that when one part is not working properly, the rest of the system is affected. We know how to help you take simple but not obvious steps that can improve your condition. Treating the whole problem, including any underlying conditions, is how chiropractors help people solve their problems for good rather than merely obtaining some temporary improvement. Basically, if you have pain caused by a problem in the musculoskeletal system, a chiropractor may be able to help. Sometimes, the things that we can help with surprise people, such as headaches. However, headaches can be caused by muscle tension in the neck and shoulders, misalignments of the cervical (neck) vertebrae, and other similar issues. Our chiropractor can treat these problems and help relieve your headaches. There are a number of benefits to seeking out chiropractic care before moving ahead with drugs or invasive procedures such as surgery. 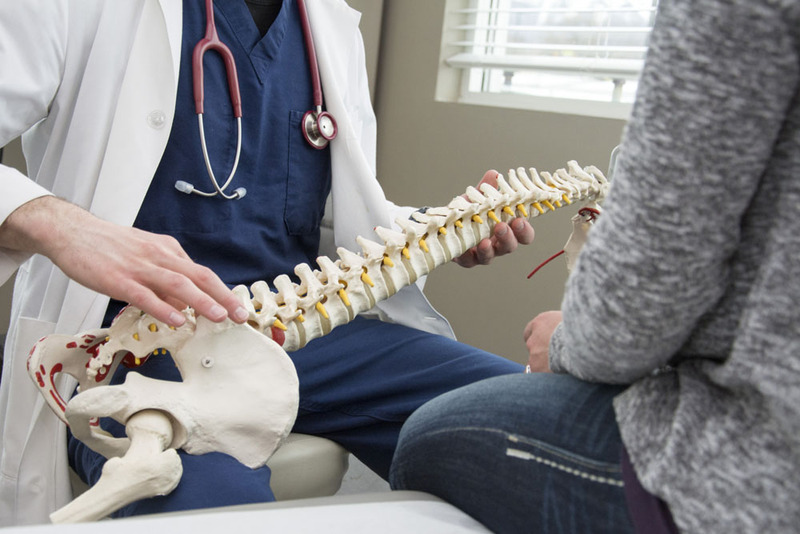 As chiropractic care becomes more widely understood, authorities in the medical field are starting to send their patients to chiropractors before taking potentially dangerous steps such as performing surgery or prescribing powerful medications. For many people, this will relieve their pain enough that they are able to move on with their life. Even for those who eventually go ahead with more invasive measures, chiropractic care can help improve comfort before and after the procedure, as well as assist in the healing process. Here at Collins Chiropractic Center, we offer chiropractic treatment and associated methods of care to patients with a wide variety of problems. We are located in Midfield, AL, and we serve patients from our entire area. To make an appointment, call us today at (205) 923-0151.